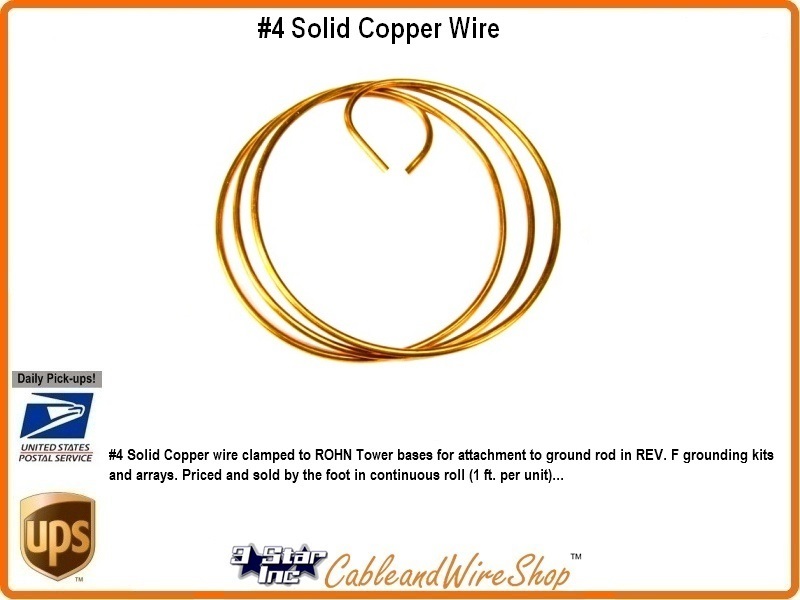 10 feet of #4 Solid Copper wire clamped to ROHN Tower bases for attachment to ground rod in REV. F grounding kits and arrays. Priced and sold by the foot in continuous roll (10 ft. per unit ordered).